Anonymous: Billy Bunter storyboard for Knockout comic. Pen & ink. ‘Knockout 7th July’ on back. 30 x 43cms (c.12 x 17 inches). Some chinese white & mechanical tints. Category: Miscellaneous. 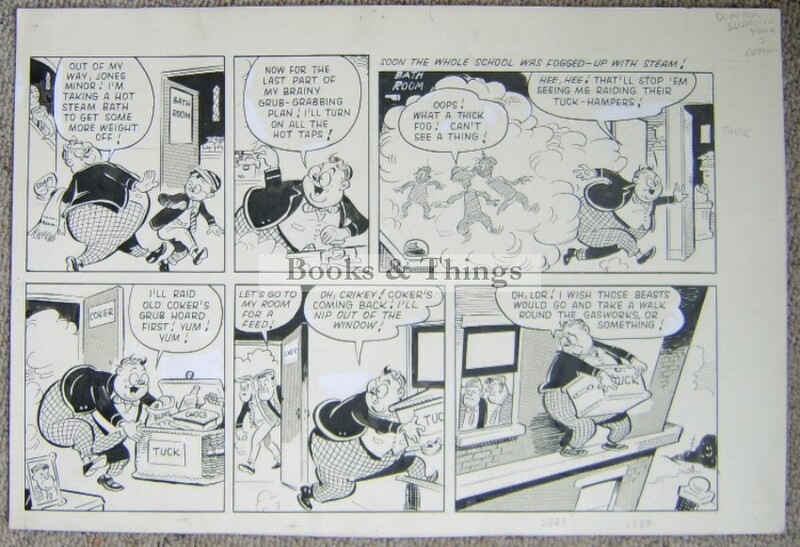 Tags: Billy Bunter artwork, Billy Bunter drawing, Knockout comic artwork.